Whether it’s an e-book, speech, article, podcast, or something else, anyone who creates content will occasionally receive a bad review. So how do we handle these bad reviews when they surface? Keep reading to find out. Probably the most important thing to keep in mind about negative reviews is this: they happen. Businesses get them, books get them, podcasts get them, public speakers get them, articles get them… the list is almost endless. No matter how fantastic your content or product is, sooner or later, some customer will feel unsatisfied and leave a bad review. Why? Because no one is alike. Different people have different preferences, and not everyone will feel completely satisfied with what you have to offer. It’s human nature. But don’t fret too much, negative reviews can actually add credibility to a product, and you can use them to your advantage. Sometimes the automatic response to a bad review is to attack the consumer for being so “wrong” about your product, or to simply ignore it and hope it goes away eventually. In some cases it’s appropriate to ignore a negative review, though not advisable, but it’s never okay to attack the person who left the review. Instead, a positive response is usually the best way to go. The review is nonsensical, uneducated, or contains no relevance to the product. The review is clearly written to insult or cause a commotion. If responding to the review will hurt more than help. The best way to react to negative reviews is by responding positively. Start with dedication and demonstrated responsiveness. Be fast, avoid letting the review fester for too long. When you do respond, treat the reviewer with respect. Though customers aren’t right about every issue, they always deserve your respect. Be calm, discuss the problem, and keep it short and concise while making it clear that the consumer’s opinion is important to you. Jason Hartman believes in improvement. There is always room to improve. 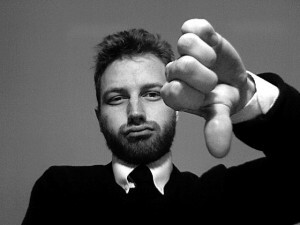 If nothing else, a negative review presents a chance for you to better the content, product, and yourself. Start by analyzing the review. What are their concerns?Is the reviewer uninformed? Is there a problem? If so, what can you do to remedy it?